The Secretary of State of Oklahoma is the sole in charge of the filing and authorization of any business entity in the state. The office administers policies and rules regarding the setting up of a business or corporate entity in the state and also maintains a record of the same in its registry. In short, the business registry has well maintained records of every Corporations, Limited Liability Companies, Limited Companies, Limited Partnerships and Limited Liability Partnership in it. 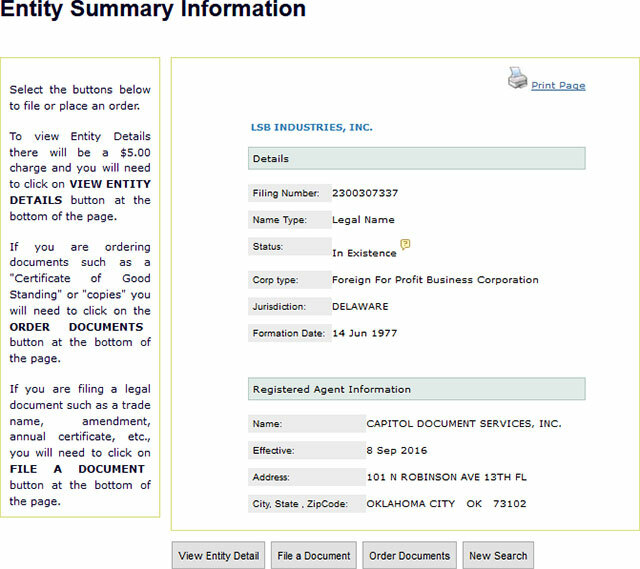 The online business entity search tool provided by the Secretary of State of Oklahoma lets you search the database and gather information about any entity that is registered with the Oklahoma SOS. To search the database using the online search tool, you need to have the entity name handy. Below is a step by step guidelines on how to use the Oklahoma business search tool. 1. The first step is to access the Oklahoma business search page by clicking here. The search page looks like the screenshot below. 2. The business search form allows you to search by the business name. It also provides additional options under their Advanced Search section to help widen or narrow your search. Under the Advanced Search section it has the options to Search All, Filing Number Search, Search Active, Name Availability etc. But for this example, we will search by business name only. To do this type "LSB industries" in the "Entity Name" text field. Once you do that, click the "Search" button, as shown in the screenshot below. 3. Once you click the "Search" button then the system will display results that match your search criteria. The results list provides information for each business entity found including their filing number, name, type, agent and status. 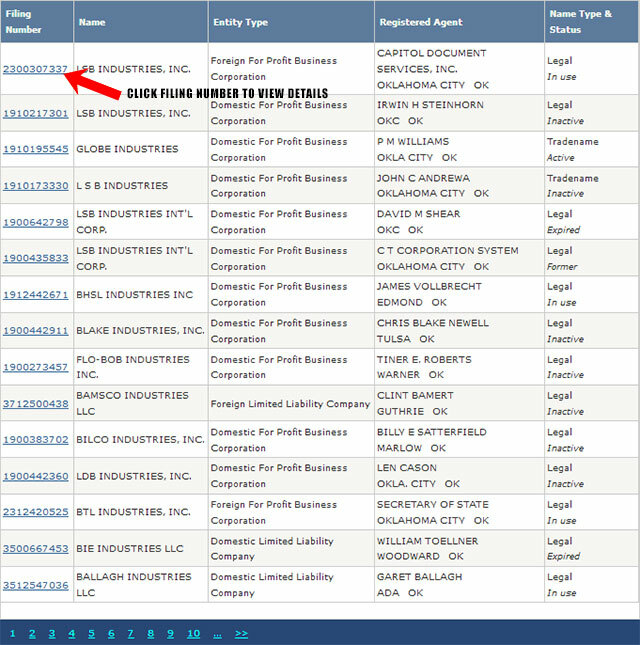 To view the details for a business, click their filing number, as shown in the screenshot below. 4. Once you click a filing number for the business entity you are looking for, you can then get access to detailed information about the entity belonging to it. The screenshot below shows this. The Secretary of State of Oklahoma is the member of the Cabinet of the Oklahoma Government and is also the chief clerical officer of the state. 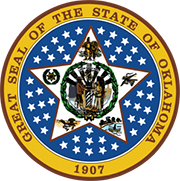 The Secretary of the State of Oklahoma is the only appointed constitutional office in the state and is the executive branch of the Oklahoma State Government. The current and the 33rd Secretary of State of Oklahoma is Chris Benge who was appointed by Governor Mary Fallin.